Whatever the outcome of Allan McGregor’s hearing today, Kilmarnock’s Alan Power being let off the hook yesterday following Alfredo Morelos’ three-match ban for an infinitely less dangerous offence really did scream at us for the irony, double standards and general amusement of the brass neck of the powers that be. Morelos was red carded for a stupid studs in the backside of Scott McKenna challenge. It was slightly dangerous, even though there was no obvious aggression. It was a justified red card although the three match ban, despite the logistical reasons for that, did seem excessive. Power, was merely yellow card for an appalling high studs challenge direct into the face at high speed of Ryan Jack – even if the officiating was terrible, a retrospective upgrade, far as we know, to red, is in the rules. The SFA elected not to sanction this move and Power will face no further action. 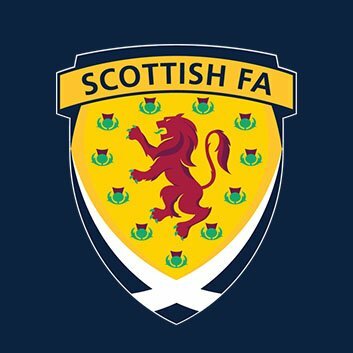 So, the SFA ban Morelos for a modestly dangerous and certainly stupid challenge, while looking the other way as Power slams his boot into Jack’s face. We’re probably not the only ones seeing the double standards here. In fact, we know we’re not. It’s been pretty ridiculous this season seeing the number of punishments handed to Rangers players, while Celtic got none and other clubs definitely get it a bit more lenient too. It really does feel like Rangers aren’t just up against their opponents, but the refs (incompetency) and the authorities (agenda). And we’re not being paranoid – the level of consistency in how sanctions are handed to Rangers compared with others appears a bit off. Im just wondering if anyone has questioned why the Aberdeen player was anywhere near McGregor? It was a blatant attempt to "assault" the keeper because not even usain bolt was catching that ball. And you cant tell me he couldnt tell he wasnt getting near the ball. He made the choice to collide with the keeper and mcgregor protected himself. Guys if we don't accept our own shortfalls then we lose the right to make the argument against others. McGregor and Morelos, both not for the first time, were stupid and cannot complain at the outcome. That's not where our anger should lie. Yer arse is padded, so it's infinitely less severe, than a pair of studs right in the side of the head. Which, for those who might not know, is the softest part of the skull. Infinitely MORE dangerous. They have no 'plausible deniability' left. They're just biased and it's out there, for all to see.